Defined benefit schemes are often viewed as the “gold plated” pension and the general perceived wisdom is that they always often a better pension and should be left well alone. George Osborne’s budget in March has now thrown this into question. Transferring out of a Defined Benefit scheme should not be taken lightly but it certainly gives an individual far greater control, flexibility and in most cases superior death benefits. Health, personal circumstances and individual requirements are not considered by Defined Benefit schemes as they offer a fixed benefit. But moving out of these schemes does involve an element of risk. The extent of that risk can be managed in terms of future investment choices and how benefits are taken. A transfer out of a defined benefit pension scheme is an irreversible decision. That is not to say it is the right or wrong course of action. The key is giving all the potential options full consideration and making an informed decision. The budget announcements in March this year heralded radical changes for pensions. Whilst it is technically correct, that there are proposals to allow everyone to take as much out of their pension when they want, this is simply not the whole story, nor it is going to be appropriate or in most peoples best interest to take out their whole pension fund as soon as possible. The Budget also included proposals to severely limit, or even ban, transfers from defined benefit schemes to defined contribution pension plans. This does go against the Government’s general thrust of empowering consumers to give more freedom around their pension choices. There is also the potential under the proposals that Public and Private sector pensions will be treated differently. With the Public Sector the intention is to ban transfers from public sector Defined Benefit schemes to any defined contribution plan (including personal pensions plans), except in exceptional circumstances. 5. Radical change – transfer ban in line with the proposed public sector change. We have no way of knowing at present what the result of the consultation will be. Whatever the outcome though it may well be effective immediately at the point of the results being published. Until that time it is business are usually. This is a serious matter though. For those people who have defined benefit pensions now, who would like the flexibility the new rules provide, they may be thwarted if the consultation bans a transfer, as it is extremely unlikely any defined benefit scheme will offer flexible drawdowns. These people may be best served securing a transfer sooner rather than later? From our company point of view, we can very easily see a ban on public sector schemes. This is on the basis that these schemes are largely unfunded and anyone who wants a transfer out will take a big chunk of capital from the scheme. In essence this creates a significant cost to the government. If 1000’s of public sector workers wanted to transfer their pensions as could well be the case, it would cost the government billions of pounds in transfer values. It is not so easy to understand a ban on Private Sector Defined Benefit pensions as these schemes are funded (in theory) by the Private sector employers. However, the Pension Protection Fund, (the compensation scheme for private sector defined benefit schemes where the employer has gone under) is already creaking at the seams and a majority of Private Sector schemes are underfunded. A spate of transfers from Private Sector schemes has the very real potential to damage further the somewhat fragile state of these schemes, and in many cases it may result in reduced Cash Equivalent Transfers for members, and a further squeeze on hard pressed schemes which could ultimately make them unviable and end up in the pension protection scheme with the tab being picked up by the government. Of course once you are in the PPF, there is no transfer out option. Looking at this negative picture, we can again see reasons why the government may seek to ban transfers from the Private sector as well, although it does seem unfair. The fact is these defined benefit pension schemes are the “Gold Plated” pensions that everyone was envious of a few weeks ago. But if someone is single or has health issues, or specific financial requirements, you can see why they would be very upset if they were not able to transfer to a fully flexible pension. Our view is that anyone who is close to or considering taking pension benefits soon, and has a defined benefit scheme now, it has to be looked at, reviewed and discussed now to establish if any action needs to be taken. Burfield Financial Planning Ltd is the legal entity sitting behind Pensions Advice UK. The directors, Chris Dando and Peter Jenkins established the company with the belief that professional financial advice can add significant value to individuals, and considerably enhance their retirement plans. Whilst focusing on retirement, we provide a full range of financial solutions to both individuals and businesses alike. Burfield FP has over 25 years’ experience in helping clients achieve their financial goals. Our team is at the heart of our business, and is committed to delivering an excellent customer experience for all our clients. We believe you have the right to expect value for money from us, and that is what we constantly strive to deliver. 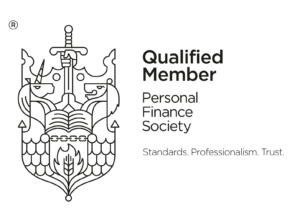 Burfield Financial Planning Ltd is authorised and regulated by the Financial Conduct Authority (521077). Registered as a Limited Company In England And Wales No. 7177075.